Welcome to the first post of 2019! I know we’re almost into February, but no one is keeping track, right? It has been a hot second since I have been around here, but I have been making HUGE updates to the site, including updating posts to be more Pinterest friendly, as well as creating printable recipe cards. I still have so many posts left to update, but I figured I would hop on here with something new and tasty to satiate y’all while I work to make A Thousand Crumbs the ultimate streamlined destination for your food desires! 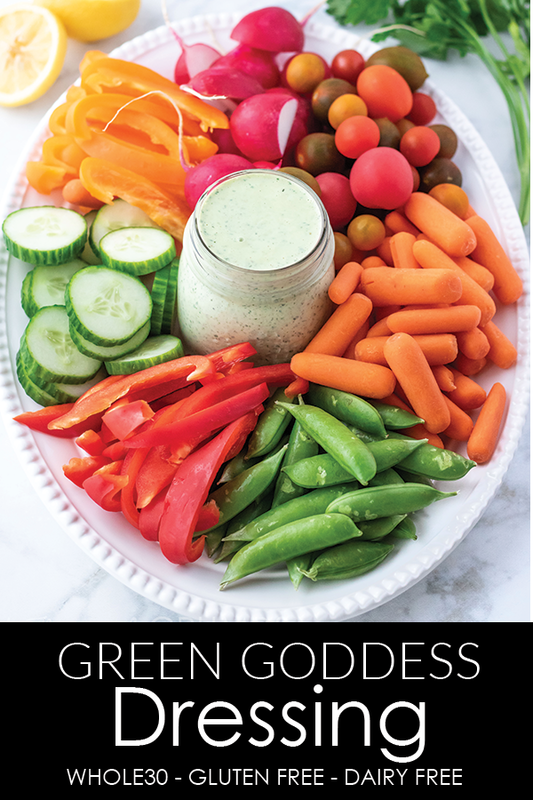 So, without further adieu, let’s start with some green goddess dressing, shall we? This Whole30 approved green goddess dressing is full of fresh herbs and has the perfect amount of tang thanks to the addition of capers, lemon juice, and just a splash of vinegar. Some green goddess recipes use anchovies to enhance the flavor, but capers actually offer the same salty briny flavor, without the fish! The best part about this green goddess recipe? You throw it all in a blender or food processor and turn it on. That’s it! 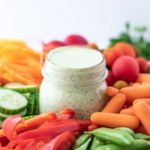 The result is a creamy and herby Whole30 approved dressing that serves equally well as both a dip and a salad topper. Just for the record – I am not Whole30, and I have never tried it, though, I have toyed with the idea! 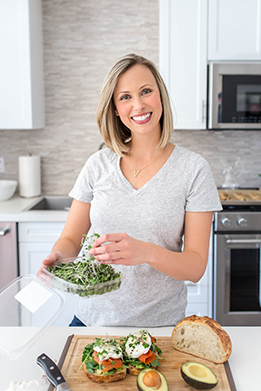 But, I do have a ton of friends who are either currently doing it, or have done it in the past, and the struggle always seems to be recipe ideas and NEW recipes that keep you out of a flavor rut. Hopefully this dressing/dip/liquid deliciousness helps! For me, this week it is joining my Super Bowl game day snack table! Now, for something just as important as game day snacks, who are you rooting for?